Around 2 billion Euros will be spent by the EU to enhance the railway network in Azerbaijan, Belarus, Georgia, Moldova and Ukraine. It is part of the plans to extend the Trans-European Transport Network (TEN-T) towards the east. The European Commission and the World Bank have presented an Indicative Investment Action Plan that identifies priority projects in the countries. Together, the projects require an estimated investment of almost 13 billion Euros. It foresees a total of 4800 kilometres of road and rail, 6 ports, and 11 logistics centres, either through the upgrade of existing infrastructure, or by new developments. The programme includes projects that are already underway and those that are planned to be delivered by 2030. Moreover, it includes the so-called quick win projects that can be completed by 2020 and will alleviate immediate infrastructure bottlenecks and improve network efficiency. Especially Ukraine is to see considerable investment in its infrastructure. The country is to take an important role as a transit country between east and west, with border crossings to other transit countries as Poland, Belarus, Russia, Hungary and Slovakia. Moreover, it borders the Black Sea, providing access the intermodal Middle Corridor via Georgia. The potential of these connections is reflected in the investments made. For example, a total of 206 million Euros will be invested in the north-south line connecting to the border with Belarus. This includes electrification of the section Berdychiv-Korosten-Berezhest at a budget of 124 million Euros for the first phase of this project. A branch of this line connecting to the Russian border will see capacity upgrades at the Hrebinka-Poltova section. 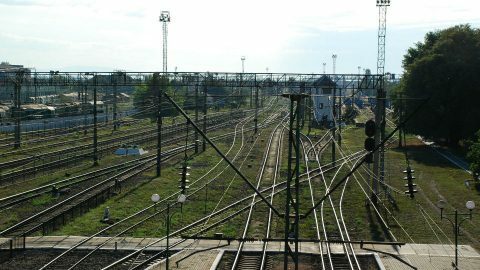 The Yagodyn railway connection to the Polish border will be upgraded at a budget of 35.8 million Euros. This will be spent on the modernisation of the 1435mm gauge line on the important border section Kovel – Yagodyn, including electrification of this line. 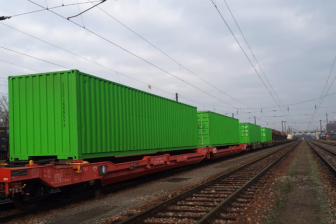 Further south, another cross-border line connecting Poland and the Black Sea will see several upgrades, enabling speed upgrades and a new traction substation. A total of 26.2 million Euros has been allocated for these projects. Belarus is also an important transit route, with high volumes of traffic already entering the country via the border with Poland, and exiting at the border with Russia. Although this line is up and running, investments are made in the connection with Ukraine. Electrification of the cross-border line will be carried out on the Belarusian side as well; on the 143-kilometre section Zhlobin-Kalinkovichi-Barbarov. An amount of 82 million Euros has been allocated to this project. In the north-west, the line connecting to the neighbouring country of Lithuania will be modernised. A total of 36.5 million Euros has been dedicated to improve the contact network on the section Zhdanovichi-Molodechno near the capital Minsk. The countries of Georgia and Azerbaijan are mainly important as transit regions on the Middle Corridor. They are situated between the Caspian Sea and the Black Sea. On this multimodal route cargo enters or exits the EU via the Black Sea or Turkey, and crosses the Caspian Sea headed for Kazakhstan, where it continues by rail to China. Considering the rail and road projects combined, the connection between the countries can count on a total investment of 2,120 million Euros. 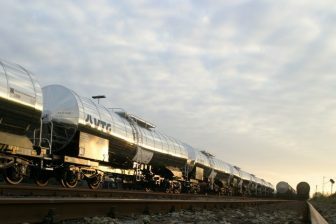 On the Azerbaijani line from the border with Georgia to the port of Baku, the remaining signalling, telecommunication and electrification will be carried out. No less than 328 million Euros has been allocated to this project. The investments in Georgia are mainly focussed on the Black Sea ports, with a focus on road infrastructure. However, the new deepwater port of Anaklia will be served with a new railway line which connects to the existing west-east railway between the port of Poti and the capital Tblisi. 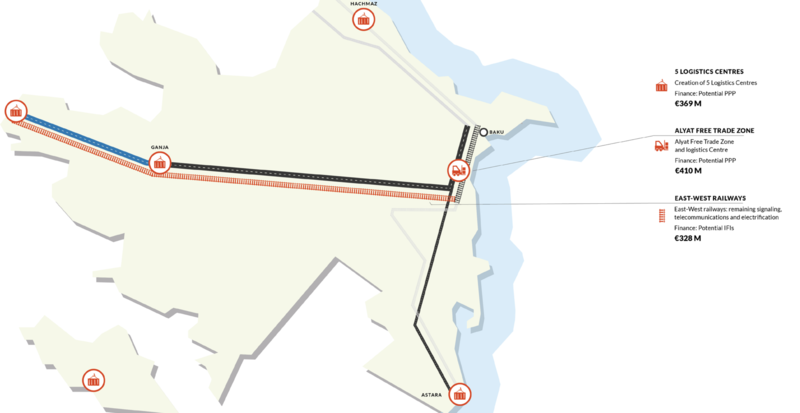 The new port will also have a new road connection, and the two structures combined will be funded with a million Euros. In Kutaisi, a transport hub, a new logistics centre will be constructed, funded with 61.5 million Euros. Moldova is relatively small in size and landlocked, but does have an important inland port on the Donau. On the TEN-T map, it is especially the west-east railway line connecting it to neighbouring Romania and Ukraine that serves the core network. 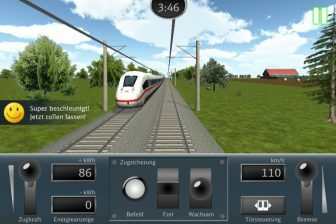 The European investment plan includes one railway project worth 20 million Euros, although it is not define the details of this ambition. Armenia has also been included in the TEN-T network. It has until now not gained much importance as a transit region due to ongoing disagreements with neighbouring countries Turkey and Azerbaijan. A new railway line connecting it to Iran in the south is on the agenda. However, it is not mentioned in the investment plan, which mostly includes road infrastructure. In September the European Commission first revealed its plans to extend the Trans-European Transport Networks (TEN-T) to countries bordering Asia. It had then just adopted a Joint Communication with the High Representative of the Union for Foreign Affairs and Security Policy, setting out the EU’s vision for a new and comprehensive strategy to better connect Europe and Asia. The EU strategy has been considered a response to the Chinese Belt and Road initiative (BRI). 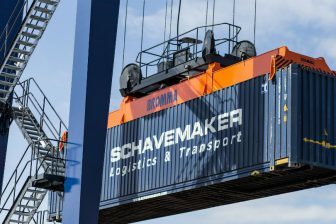 China has invested heavily in projects in the six countries mentioned above, with the same aim of improving connectivity between Europe and Asia. At the same time, the efforts could be a response to the growing influence of Russia on the trade route between the continents. Russia bans imports of several EU products. Through the traditional northern routes it is difficult to bypass the large country, limiting the trading options. Via countries as Ukraine and multimodal routes as the Middle Corridor, these sanctions can be avoided.